According to Jarod Neece and Mando Rayo, one good breakfast taco can change your whole outlook on life. 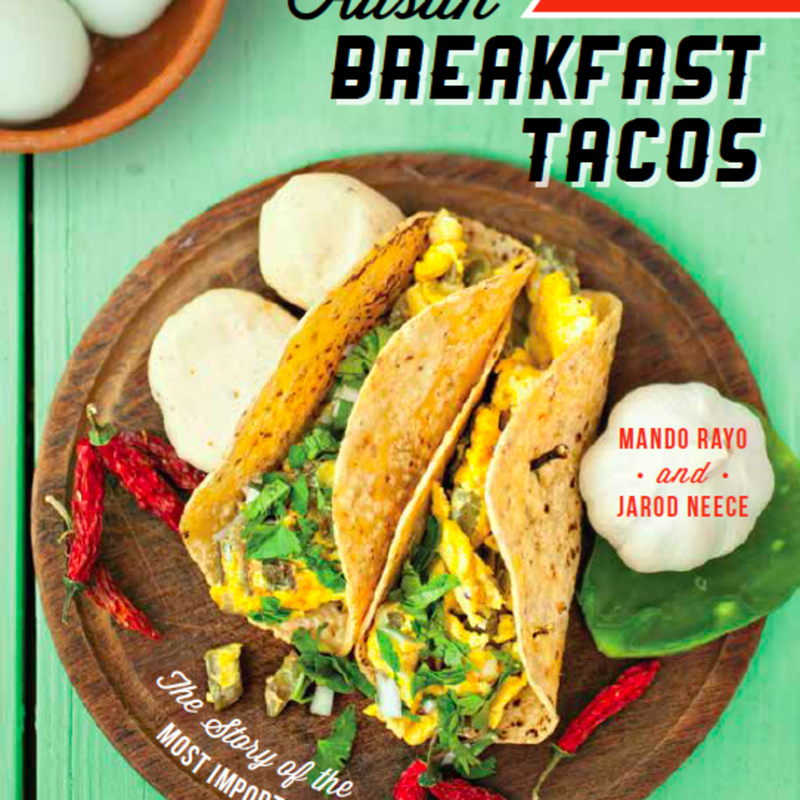 And they should know; they're the guys behind Austin Breakfast Tacos, a new book dedicated to the tasty Texas tradition that will be released on July 19. 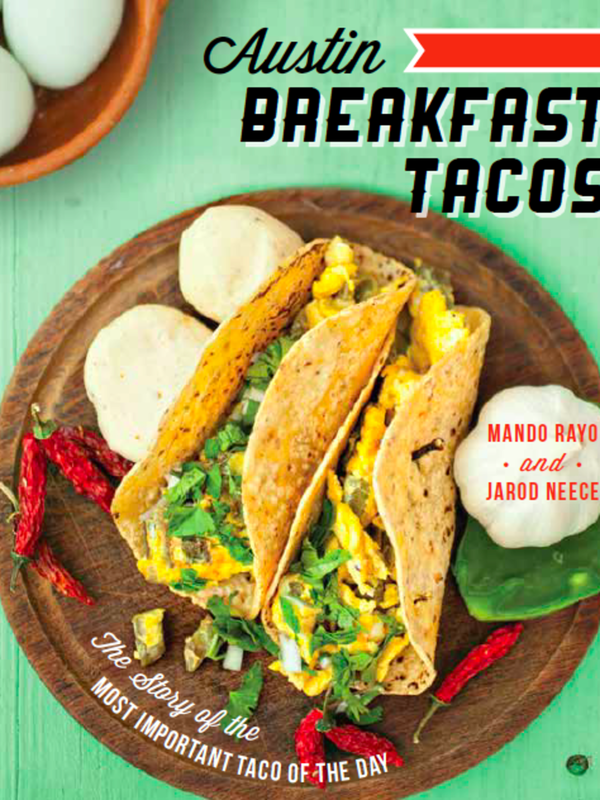 The book, subtitled The Story of the Most Important Taco of the Day, recounts the authors' journey through the multi-layered culture and history of the breakfast taco in Austin. 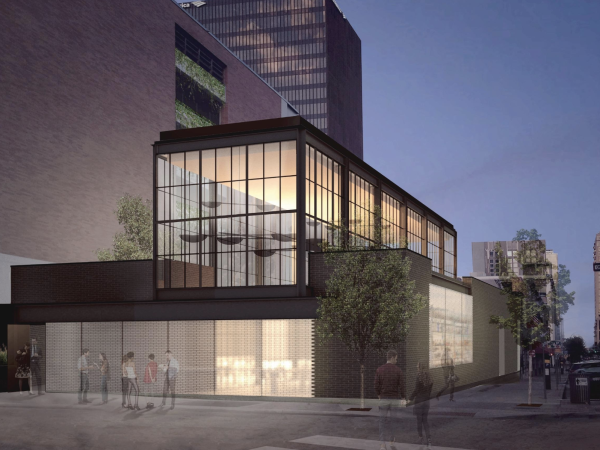 They explore the origins of the breakfast taco, delving into the legend and lore of the vaqueros and Texan cowboys, and introduce us to the first Mexican immigrants to arrive in downtown Austin. "The book is more than just about tacos. It's about Austin, our community and how the breakfast taco just brings all of it together," Rayo says. 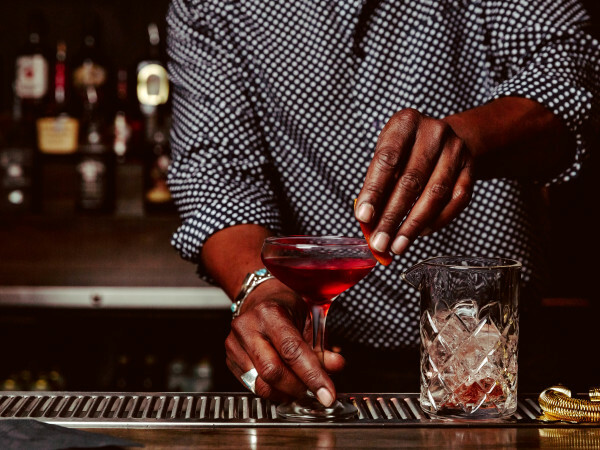 "We cover Austin's history, why they're so 'hot' right now, over 40 recipes, 24 restaurants and the people of Austin, as well." The book came about because of the team's blog, Taco Journalism, founded in 2006. Neece created the blog with Justin Bankston, spurred by their desire to share their love of the breakfast food with the world. "This was pre-yelp, early blog days and we wanted a way to let people know where the real tacos were and what tacos to avoid," Neece says. "We quickly added Mando to the mix and we have been eating and talking tacos ever since." Rayo adds that until he came onto the Taco Journalism team, he was just a "lowly taco guy" who loved the combination of simplicity and options that tacos provide, along with the comfort they give our bellies. "It's the taste of the old and the new, filled with our favorite sabores and carnes to yes, even veggie style. Basically, it's food for the soul in a warm folded tortilla." The guys say that the book deal with The History Press naturally evolved because of the blog. "We always said that is we just stayed true to the tacos and wrote from the heart, good things would happen," Neece says. "This book is the ultimate expression of our taco love." Neece's lifelong love of the taco started early, growing up in East Texas. He recalls that some of his earliest memories were of dipping rolled flour tortillas into queso and chowing down on tacos in Beaumont. As for Rayo, he claims his passion started at birth. "I was born with a tortilla in one hand and meat in the other." According to Neece, tacos are the perfect food. "You can hold them in one hand and eat as many as you need to be satisfied. One for a snack or three for a meal." So, what are the taco experts favorite tacos in Austin, and where to get them? Neece's favorite breakfast tacos can be found at Joe's Bakery (Bacon, Egg, Bean and Cheese), Porfirio's (Carne Guisada and/or bean & cheese) and Papalote (chorizo & egg). Rayo also counts Joe's Bakery and Papalote among his favorites. His other choice picks are Tacodeli (Vaquero with sausage) and Taqueria Chapala (Tacos Dorados de Barbacoa). Austin: the Breakfast Taco Capital of the World? Hell yeah it is! And why not? The people of Austin love their breakfast tacos; they love them in the morning, for lunch, when they’re hungover, at midnight, on the streets and in abuelita’s cocina! Wherever you go in Austin, you’ll find taqueros creating a plethora of the breakfast creations that are part of the culture of Austin. When in Austin, do as Austinites do. 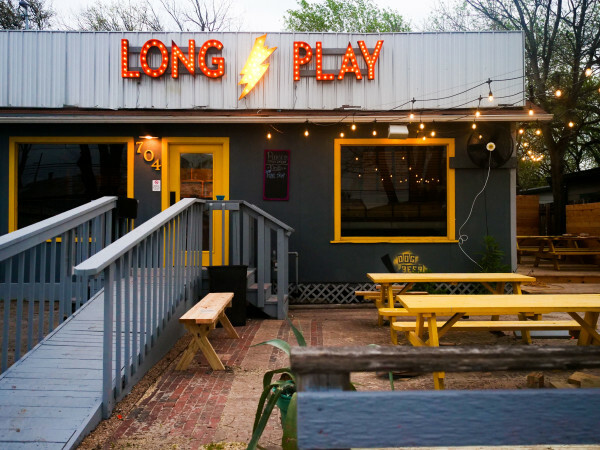 Eat barbecue, listen to live music, hang out in the East Austin bar scene (yeah, just ask los hipsters) and eat lots of breakfast tacos. Part Mexican, part American and 100 percent Tejano, breakfast tacos are a unique food that can only be found in Texas, and we love to tell the world about them. Just like with pizza in New York, hot dogs in Chicago, cabrito in the Rio Grande Valley, puffy tacos in San Antonio, Chico’s Tacos in El Paso and Dallas’s Gas Station Tacos, it is the people’s love of the food that makes them and their cities popular. Now, the breakfast taco may not have originated in Austin, but it’s the love affair that Austinites have with the handheld food that makes it so popular. People of Austin love it so much that they’re broadcasting it to the world, and now anyone visiting Austin—from New Yorkers to TV show celebs to Californios—have to have breakfast tacos. It’s the many breakfast taco options and plethora of people who love them that really make Austin the Breakfast Taco Capital of the World. Neece says, "We have included most of the tacos we love in Austin, but some that got left out are at Taqueria Arandas, San Juanita's, La Cocina de Consuelo and so many more. Maybe we'll do a Breakfast Taco Book 2.0! Stay tuned." Austin Breakfast Tacos: The Story of the Most Important Taco of the Day is published by The History Press and will be released on July 19. You can pre-order your copy from Book People as well.